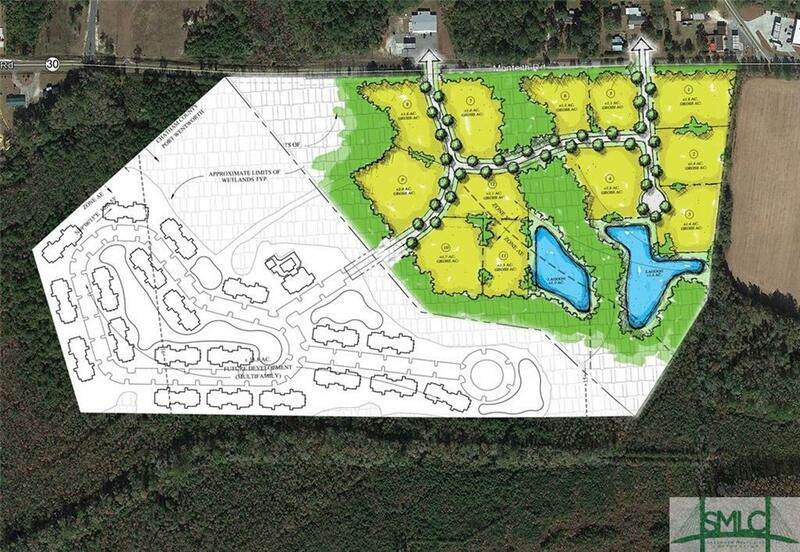 An existing wetlands system logically splits the property into two separate parcels of 38.9 and 38.8 acres. While the Owner will consider an offer to acquire the entire parcel, this offering is for the 38.9 gross/25.1 net acre parcel immediately accessible via Highway 30. This parcel would make a very attractive Class B apartment site or longer term might be a logical commercial zone at the entrance to a multi-family residential project on the acreage behind it.The parcel is ideally located in what should be the next hot spot for growth in the entire Savannah MSA.